Morissa - Dramatic Swarovski crystal gold and black purse - SALE!! HOME / WEDDING ACCESSORIES / Crystal Evening Purses / Morissa - Dramatic Swarovski crystal gold and black purse - SALE!! 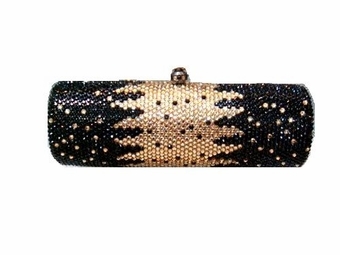 Description: Dramatic and gorgeous Swarovski crystal gold and black evening purse. Dazzling sparkle and an amazing design. Measures approximately 7" long x 2" wide x 2" high.